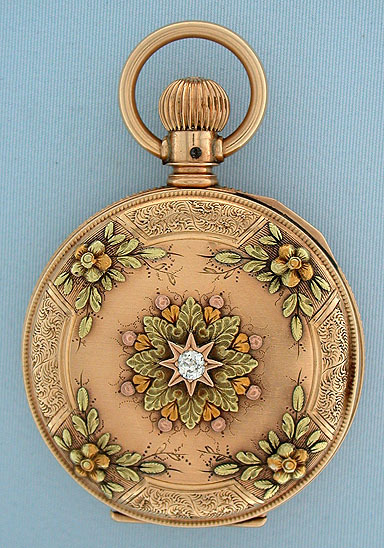 Lovely Elgin 14K multicolor gold and diamond antique ladies pendant watch circa 1887. 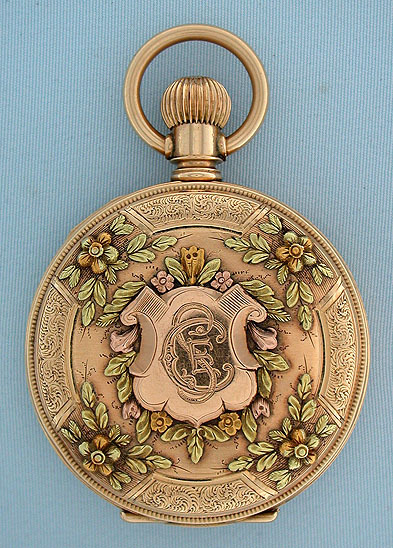 Beautiful engraved case with applied decorations in various colors of gold. 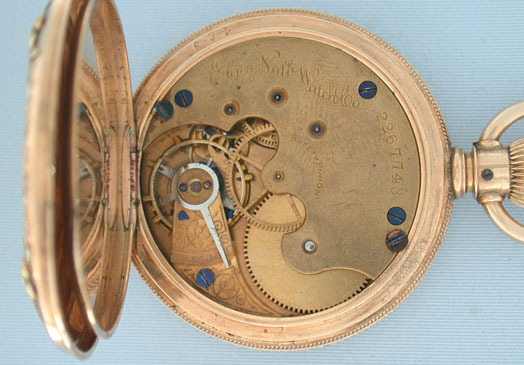 White enamel dial (light hairlines) with blued steel hands. 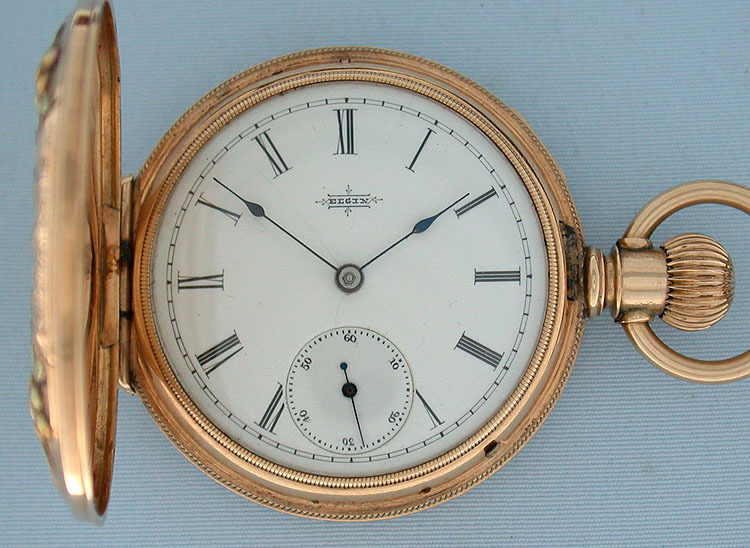 Faded gilt 11 jewel movement.